At the CUE Annual Conference last weekend, Dan Meyers spoke about wanting to "perplex" his students. Meyers is a math teacher, and what he meant by this was wanting his students not just "engaged" but perplexed by problems, intrigued enough to ask questions and take over the driving force of investigating. It got me thinking... what does perplexity look like in a Facing History and Ourselves classroom? My conclusion? It's about human behavior. Why do some people act outside the norm for their time and place? Why do others not even question an act which seems "clearly" wrong? So, with a tip of the hat to CUE and Dan Meyers for the inspiration, here is my list of people who might perplex your students. Andre. Andre was 12 in 1938. 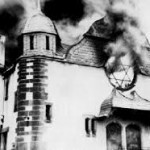 He was told by his youth group to throw stones at Jewish shops the next day. Instead, he stopped to think and talk about it with his parents, and what happened next never failed to perplex and astound my students. Read his story here. Stefa. Another unexpected story from the Holocaust for my students: Stefa shared at the end of the war that she felt like she had not done enough, but she had sacrificed her marriage and risked losing her own child to save a Jewish woman she did not know before the war. What? That wasn't enough for her? This was another story that got my students questioning. Click here for Stefa's story. Robin. Moving to the US Civil Rights Movement, there are again examples of the unexpected. Midst the hatred and fear other students expressed for Terrence Roberts and the other members of the Little Rock Nine, one student took the simple act of sharing her textbook with Terrence in Algebra class. Why? What motivated her to take such an action when it was so contrary to what other students were doing in that situation? Download the Choices in Little Rock curriculum here, or read more about Little Rock and Robin on our previous blog post by clicking here. Ambassador Morgenthau. 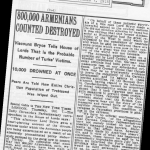 During the Armenian genocide, Morgenthau went outside US diplomatic expectations to mobilize the largest US humanitarian effort in history. Despite the limitations of official US policy at the time (the US wasn't yet ready to enter World War I), and the frustration of trying to find a diplomatic solution (see this article as an example), Morgenthau found a way to help. Ourselves. I'm serious. Sometimes it's human behavior in general which perplexes me. In the film The Reporter, Pulitzer Prize -winning reporter Nick Kristof shares the findings of the Rokia study which reported that our capacity to care diminishes when the number of victims we are looking at increases just from one to two, let alone to larger numbers. (Watch a clip from the film here.) What does this mean for our own expression of compassion? Eboo Patel. In the short reading "Talking About Religion," Patel describes an incident that happened while he was a student. He's ashamed of his own behavior, which would usually lead to not talking about it, but his willingness to focus on that moment has given him strength and motivation to do amazing work. How do each of us find the strength to focus on those moments when we were not our best self? Ben West. Nashville, Tennessee. Elected white mayor. 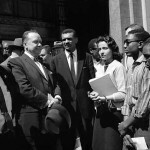 Sit-ins and marches by African American students such as Diane Nash. Students think they know what to expect when the two confront each other on the city steps. Diane Nash is phenomenal when she asks Ben West to respond not as a politician, but as a man. Ben West is the one who perplexes me. It's rare to see politicians who are willing to step out of that role, let alone in public, but he does. His response has such humanity and such impact on the movement and the city. Watch it! The entire Eyes on the Prize series has people who will perplex your students, and this story is in episode three. What about you? Do any of these stories perplex you as well? Are there other stories that your students find perplexing?